Antimicrobial peptides of multicellular organisms were first characterized in the 1980s by investigators who felt that known systems of immunity could not explain what they observed: the resistance to bacterial infection of a Cecropia moth pupa lacking antibodies or lymphocytes (cecropins (Steiner 1981)), the potent microbicidal activity of neutrophils from a rabbit (defensins (Selsted et al. 1985)), and the healing of a wound on the skin of the African clawed frog without infection in a non-sterile aquarium (magainins (Zasloff 1987)). Since then AMPs have been discovered in diverse species of fungi, plants, and animals (Seshadri Sundararajan et al. 2012; Fan et al. 2016; Waghu et al. 2016; Wang et al. 2016). It is likely that we will discover that every multicellular organism expresses antimicrobial peptides as a key element of their immune system. 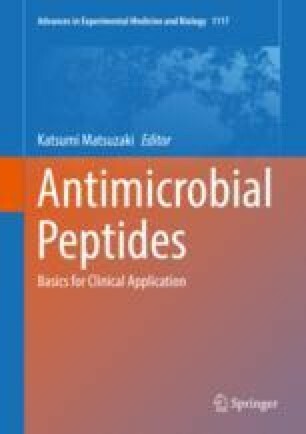 Why are antimicrobial peptides so popular in Nature?